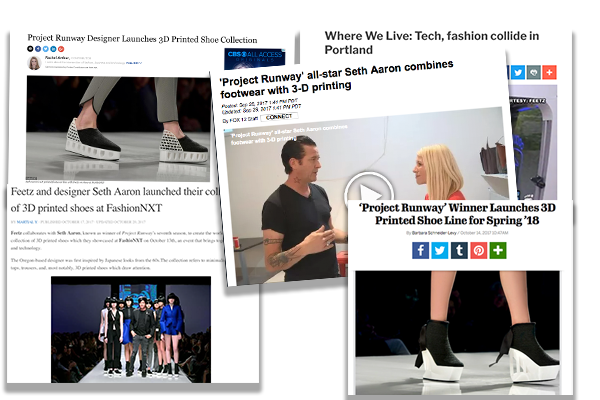 FashioNXT created a collaboration between 3D Printing company Feetz and Project Runway winning fashion designer Seth Aaron, creating the world’s first 3D Printed Ready to Wear designer shoe line. It was followed by a marketing and media roll out that took it from the runway premier at FashioNXT Week to Forbes Magazine, Footwear Magazine and other major media outlets. 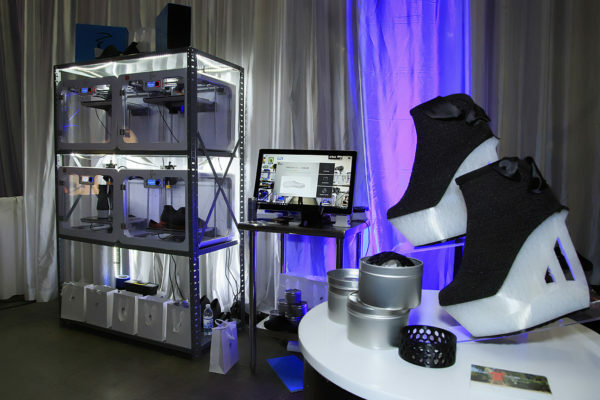 Feetz activation at FashioNXT Plaza showing live to the attendees how the spectacular design comes to life with the intricate 3D printing, and you can effectively walk away with your favorite pair of shoes right off the printer. And global press took notice of this auspicious moment of the merger of fashion, technology an sustainability. Forbes, Footwear News are just a couple of high profile names of the media that featured the story.